Barbara and Edward Hunter have been growing, processing and delivering fresh wheatgrass around the Cincinnati area since the late '90s. Earlier this month, they opened a juice bar and vegan deli inside Findlay Market. It's right near the center of the market, adjacent to Bean Haus -- a great location! Huntergreengrass is the name of their company and their juice bar. Check out their website to learn the health benefits of wheatgrass. There's quite a list of good reasons to include it in your diet, most of which seem to revolve around the "living chlorophyll" it contains. Barb mentioned that to really get the full nutritional wallop, you should consume the juice within a few minutes of its being juiced. Their website notes that one ounce of the juice has "the same nutritional value as 2.5 pounds of green garden vegetables." Wow! 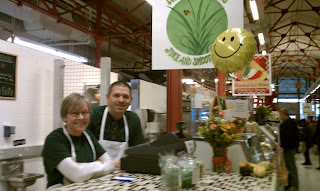 Their market stand specializes in juices, smoothies, homemade soup and daily specials. Everything they sell is 100% vegan. Good luck to the market's newest purveyors of interesting, healthy and locally grown products! I'll admit, dinner is the easiest meal for me to go "low-carb." (As noted in an earlier posting, what we're really talking about here is mostly starchy, white-flour carbohydrate-laden foods, such as bread, pasta and cereal.) 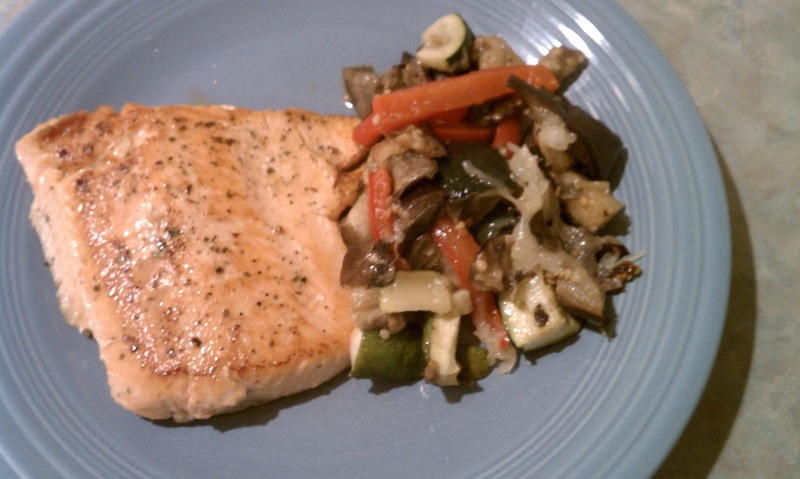 Here's a typical dinner that works for me: pan-sauteed fish--in this case, Arctic char-- with large portions of a fairly elaborate veggie. The char's plate companion is a roasted ratatouille, sort of. In a 375 degree oven, I roasted one medium eggplant, diced, for 10 minutes, then stirred in strips of one large zucchini and a red bell pepper, along with whole cloves of garlic and fresh oregano, among other seasonings. That stayed in the oven for another 10-15 minutes, stirred once along the way. A larger challenge for me is lunch, at least on work days when I often have brought turkey sandwiches to eat at my desk. Too much bread! So I'm working in such things as salads with strips of chicken and cottage cheese (high protein items) or frozen meals from Kashi with at least 22g of protein. You pretty much have to replace those starchy foods with protein-rich foods. That really becomes hard at breakfast, as I am no fan of eggs. Today I tried mixing protein powder with milk and adding it to my oatmeal, and all that happened was it came close to ruining my oatmeal. The saga continues on making breakfast less starchy! Let's get real about good carbs/bad carbs, because "cutting carbs" (or cutting them out) is not only close to impossible, it's also a really bad idea. Carbohydrates are as important in the building blocks of nutrition as is protein, and the other of the trio, fat. No carbs would mean no vegetables, fruits, beans, nuts, dairy products -- and of course, no grains or starchy foods such as pasta and cereal. That's ridiculous. As part of my PT work, I'm trying to increase consumption of protein and decrease some of the carbs in my diet. But truly, it's just the starchy carbs that I'm trying to eliminate or reduce. Bring on the veggies and fruits! Here are several links to recipes for interesting pesto creations, as well as interesting ways to use your pesto on less-starchy-than-pasta, higher protein meals. Pesto and Pistou: Fall is the perfect time to make big batches of puréed basil with olive oil, which can be frozen for later use as pesto or pistou. 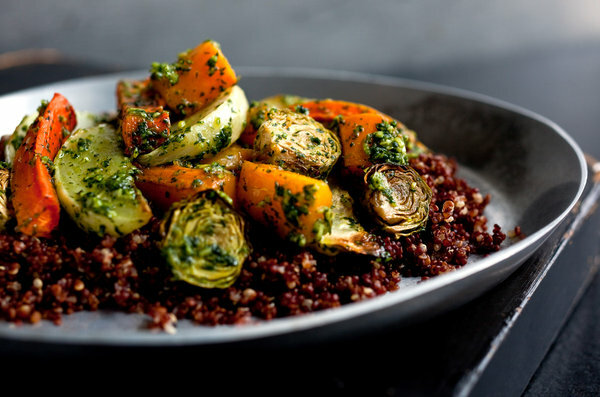 Quinoa With Roasted Winter Vegetables and Pesto: This combination of sweet vegetables with pungent pesto is great for a simple grain and vegetable bowl. 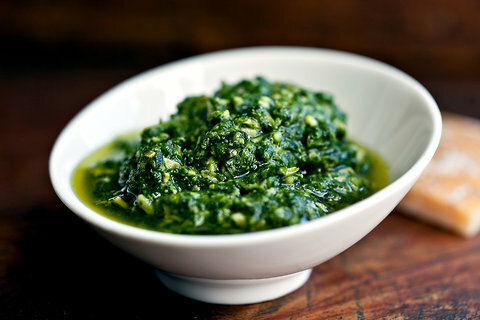 Broccoli Pesto: Use this bright mixture as a dip, a spread or a sauce with pasta. Pesto Portabellos: Portobello burgers and roasted pesto-stuffed portobellos are two great ways to combine pesto with mushrooms. What a great town, the growing but still adorable place where I went to graduate school at UNC-Chapel Hill. Saturday night my brother, his wife and I drove from their house in the country north of Raleigh for an evening in the Hill. We started and ended at a fantastic bar called The Crunkleton (did not learn the story behind the name), where we tried several wondrous "craft cocktail" concoctions, our favorite of which was the house version of Old Fashioned. When we arrived at 7 PM things were rather quiet. After walking a couple of blocks and having dinner at Elaine's (a highly regarded Chapel Hill dining destination), we returned to Crunkleton and the joint was jumping. While the fare at Elaine's was good, I imagine the kitchen wasn't at the top of its game, since we found the food to be a little spotty, and the only dish we all thought stellar was the warm chocolate cake with pistachio ice cream (dessert, obviously). So the highlight of the night definitely was the bar. Working with a Trainer, Week 1 -- and learning more about "Clean Eating"
The day after my first PT workout, I expected to have sore muscles, but it was insignificant -- slight soreness in my triceps due to the proper push-up form. I told my trainer --Dorsey, in the photo here -- and he said we'd kick it up a notch next week. As for eating, part of my assignment this week was to keep a food diary. Doing that makes me more conscious of what's going in my mouth, of course. The only new (for me) "clean eating" principle that I was able to incorporate was to eliminate any starches (aka carbs) at dinner....not including wine, which I still had a pretty hefty glass of each night. Thanks to cutting back on carbs at other times of the day, too, and paying closer attention overall, I lost about 2 pounds this week. However, I'm flying to Raleigh this afternoon to spend the weekend with my brother and his family. He and his wife are foodies par excellence, wine collectors (their cellar dwarfs mine by a factor of 100) and he is a great cook. 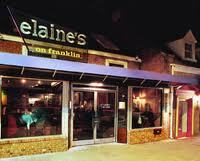 Plus we have dinner reservations at one of their fave restaurants, in Chapel Hill, Saturday night. I'm not expecting to maintain my slight weight loss, but we'll see. Next week, Dorsey will give me a cardio plan as well as feedback about my diet. One of Cincinnati's best restaurants (IMHO) is developing a new concept that will give them a second venture. According to one of La Poste's management team, they are scouting locations for a much more casual eatery in nearby Northside. It will be a taqueria, with a limited menu of perhaps eight items, a selection of beers, tequila drinks and other cocktails, and late-night hours. I asked who would do the cooking, and my source said they were working on finalizing that now, too. He said that they hope to open in March or April 2012. Stay tuned for more information once the ink is dry on the locale. 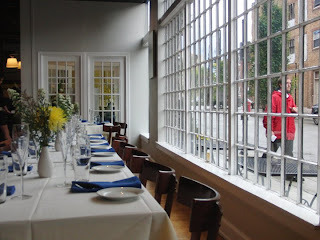 Since La Poste just keeps getting better and better, and is a crown jewel for Gaslight Clifton, we can have high expectations for this new venture! Maybe you CAN "teach an old dog new tricks." 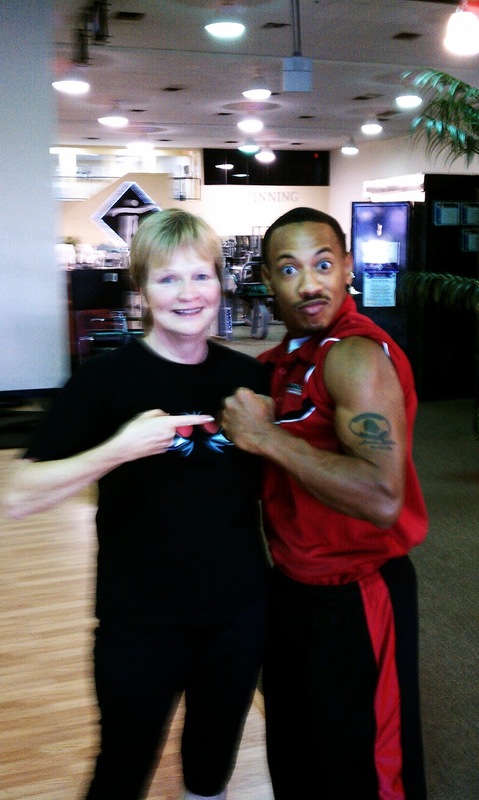 After decades of step classes, Jazzercize, ab crunches, "power" classes, daily exercise walks and countless gym visits, I'm finally taking the plunge to work with a personal trainer. Beginning tomorrow, I embark on a six-month program to improve mobility and flexibility, reduce body fat while building muscle, and balance my body so that I end up with better posture and greater strength. Among the papers that the trainer gave me is some info about CLEAN EATING, a term that I somehow have heard very little about. But there's a magazine called Clean Eating, which I vaguely recall someone mentioning to me a few weeks ago. She recommended that I look into it, because it's got lots of good, healthy-foodie principles. Here's a quote from their mission statement (though that's not what they call it): "In every way, clean eating is all about consuming whole food in its most natural state, or as close to it as possible. Taking a creative yet doable approach to cooking, you’ll find it easy to enhance the natural flavors of any meal without compromising the integrity of your food." That sounds great, although I have to say that the literature my trainer handed me sounded way less appealing due to a very restrictive eating plan. I'm good with keeping processed foods to a minimum, but the trainer's diet reduced carbohydrates almost to zero, even restricting the amount and type of fruit you can have. "No carbs after 6 PM" was also on the list, and since we don't eat dinner until after 6, that was not going to fly in my household. No alcohol, either -- again, not likely that I'm going to adhere to that and give up my wine, and occasional cocktails (although I try to minimize those -- too much sugar). Here's a less restrictive take on CLEAN EATING, from a website called The Gracious Pantry. Include Meats - Eat meats that are whole and straight from the butcher. Don’t buy pre-packaged meat products because you never know what’s in them. When possible, buy whole meats and grind them yourself. You’d be surprised what’s in ground turkey meat! You can also select a few turkey breasts and ask that the butcher grind them for you. Many butchers are more than willing to accommodate. Work in an office? How to avoid common health pitfalls of office life. The days where most people did physical work for at least a good part of their day are long gone, at least in the contemporary U.S. Here are some all-too-common and often serious health challenges that office workers have to deal with. Click here to read more, including how you can protect yourself from these dangers. 3. Noise stress -- depends on your office environment, but computers and other machines, telephones, and co-workers' chatter can add up to serious noise pollution. Start with chilies -- which like so many wonderful foods are harvested in the fall. 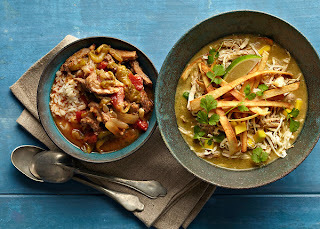 Check out this article by Mark Bittman about roasted chilies, which includes links to recipes for roasted or broiled green chilies, pork and green chili stew, and a marvelous tortilla soup. My lead photo for this post is from Bittman's NY Times article. Yum. 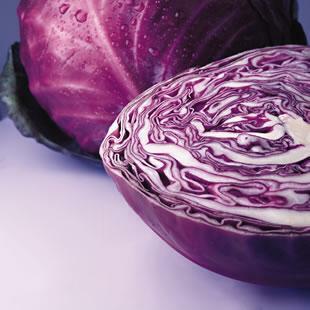 As for other healthy foods whose deliciousness peaks in autumn and even into winter, Eating Well magazine lists their top six: broccoli, mushrooms, (new) potatoes, swiss chard (or other similar greens), cabbage and winter squashes. All are excellent ingredients for hearty casseroles, stews and soups -- just what your body craves when the weather gets chilly. Go here to read the Eating Well article and get ideas about how to buy, store and cook these great fall veggies. Eat these foods as often as possible to stay slim, fit and healthy! This one is called Apples to Oranges, because most people think it must contain those fruits. In fact, it's really cucumber and grapefruit! In a cocktail shaker, muddle the cucumber slices. Add ice and all remaining ingredients except the cucumber garnish. Shake well. 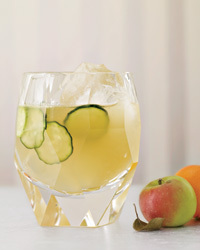 Strain into an ice-filled double-rocks glass and garnish with the thin cucumber slices. For more bourbon cocktail recipes, click here. Adding to the already hot Gateway Quarter scene in OTR, A Tavola opened in early summer with a simple but effective concept. They do thin-crust pizza from a wood-fired oven, and not much else. They do it very well, however. Along with the fairly short list of pizzas, the menu adds a few salads -- I had a good cauliflower salad with lemon vinaigrette, and my husband tried the grilled asparagus salad (pictured). The signature pizza starts with a base of fig jam, then adds fontina cheese, prosciutto and arugula -- we ate that (also pictured). The overall effect was no-big-deal but good, if that makes sense. I didn't feel it was a true destination eatery, but if you're in downtown Cincinnati looking for the best pizza in the neighborhood, this would be the place to go. 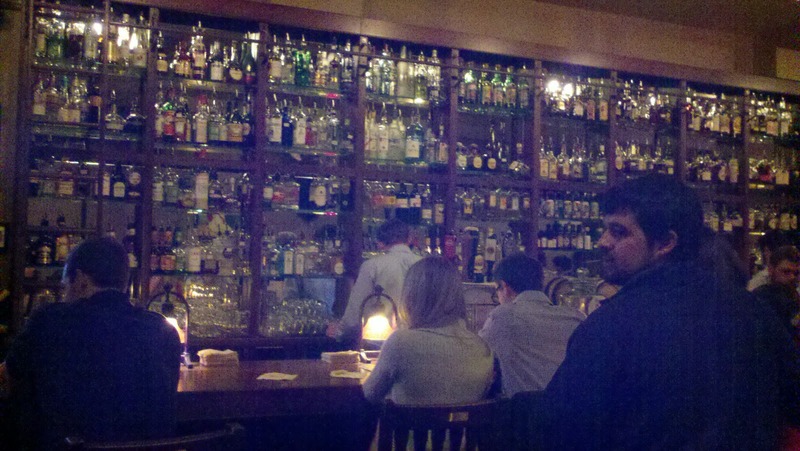 A Tavola also has an inviting bar with a few bar tables and a short but interesting cocktail list. 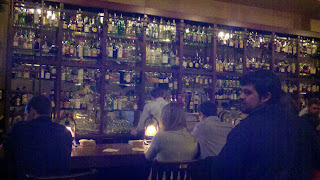 Most if not all of their drinks seem to use house-made mixers, which is always a good sign. This month's recall of contaminated cantaloupes originated in Colorado but has made people sick all across the U.S. As you probably know, this is just the latest in a depressing history of poisonous foods that sickened and killed us before the industrial food system tried to get them out of our stores and kitchens. From 2,000 peanut products to bagged spinach or Nestle Toll House cookie dough and 143 million pounds of beef, we've had all too many scary food recalls just within the past decade. 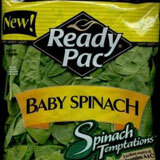 Click here to read "The 10 Biggest Food Recalls in U.S. History." 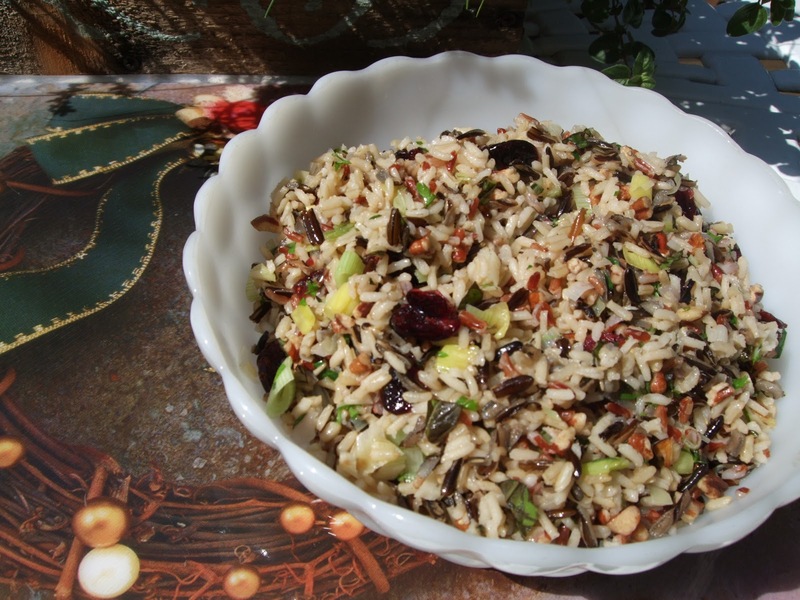 Yes, it's early to be thinking about what to cook for Thanksgiving and the December holidays, but I made this wild rice dish (with pecans and dried cranberries) last week and thought about how good it would be with chunks of leftover turkey. Even without the turkey, it turned out quite tasty and we ate it for days, first as a side dish at dinner. The leftovers made a terrific lunch served at room temperature and tossed with pieces of lettuce. I cooked the rice mix in brewed green tea, just for the kick of it. 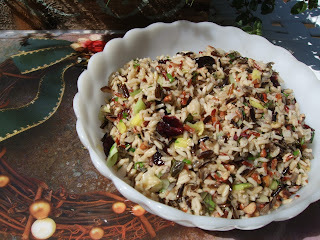 But you can substitute water or broth as cooking liquid for the rice. 1. In a medium saucepan, bring the salted water to a boil. Turn off the heat, add the teabags and steep for 5 minutes. Remove the teabags and bring the water back to the boil. 2. Stir in rice, cover and reduce heat to simmer. When rice is tender (about 12-15 minutes), remove from heat and drain off any excess moisture (rice should be fairly dry). Set aside. 3. While the rice is cooking, heat the canola oil in a large frying pan over medium-high heat. Add leek, shallot and garlic, reduce heat to medium and cook, stirring, for 2-3 minutes, until vegetables begin to tenderize. 4. Add rice to the frying pan and stir until heated, about 3-4 minutes. Season with salt and pepper to taste. 5. Stir in pecans, cranberries, oils and herbs. Add turkey or chicken, if using, and stir well. Remove to a serving dish or spoon onto plates. Bartender Suzy also will be mixing an array of seasonal cocktails, and she previewed a couple of them last Thursday for my friend Tricia and me. Tricia tried a delectable bourbon-based drink fizzed with egg white that was light while being plenty boozy. For me, Suzy made a "classic sidecar," a cocktail I've always loved when it's made right. Suzy's did the trick -- I'll definitely be ordering that as the days continue to get shorter and the chilly air deepens.